I’m not sure if I’m the only one who feels this way. However, it seems as if it’s super easy to catch colds while traveling or upon returning from your travel adventures. If you’re anything like me. You try your best to avoid this. Who want’s to be sick while on vacation and who wants to be sick returning from a vacation. I’m sure that pretty much everyone will agree with me on this one. 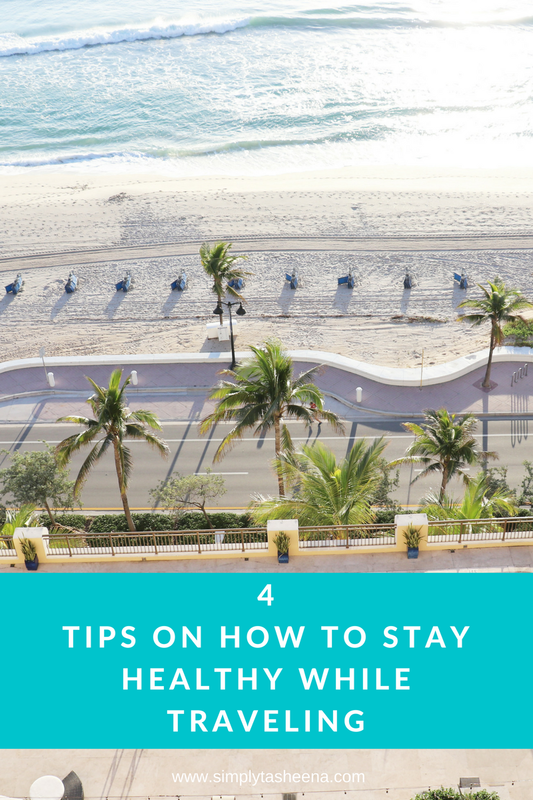 Below I’m sharing 4 Tips on How to Stay Healthy While Traveling. Whether you’re headed for the ultimate spring break vacation or just spending a couple of days away. These tips have you covered. I’m not sure why we sometimes forget how important and effective just washing your hands with soap and water is. I know it sounds simple, however, it works. I was always taught to sing the happy birthday song while washing my hands to ensure that I’m actually walking them long enough. It’s a great indicator for children and adults. Wipe down your surface. I like to travel with surface wipes. When they’re provided at the grocery store during your travels use them on your shopping carts. Don’t forget to wipe down your phone and other items that you use on a regular basis during your travels. Surface wipes are not the same as hand wipes and they should only be used on the surfaces recommended. Purchase surface wipes to sanitize the hard surfaces around you. I’m big on taking supplements and using immune boosters. I’ve been using a few this year and I must say that I’ve seen a huge difference. Travel with an immune booster, make sure to take your regular supplements as scheduled. This plays a major role with you continuing to stay healthy during and after your travels. I know when always do not have access to soap and water. I try my best to ways carry Kleenex wipes along with me. It’s so easy to touch a doorknob or an elevator button and then use that same hand to grab and eat fries with. I see it all the time, and this may not typically affect you during normal circumstances. However, it very well can during your travels. Always carry Kleenex wipes with you. I love that they are not made with any harsh chemicals and they are different from other hand wipes on the market. The Kleenex Wet Wipe Gentle Clean and Germ Removal available at Walgreens! What's your favorite ways to stay healthy while traveling? 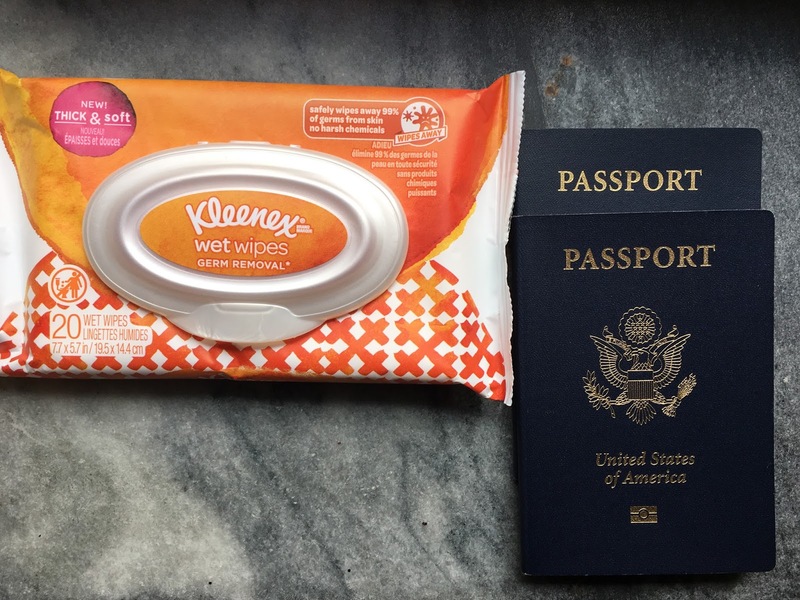 I do need to bring wipes the next time I travel. I didn't do it when we went to Disney World last March and we came home sick. Blah! So I'm taking the wipes this time. Plus I do always take my vitamins. Have to be extra careful while traveling so these tips are a great reminder. We keep wipes in our car all the time. Good for all year long. I tell people these things all the time! We always wash our hands and bring our vitamins because I do not want anything to mess with my vacation! Glad to see you added washing hands in your tips. That's something I do continuously. I can't believe I haven't even thought about how taking supplements and washing down surfaces would help as well. I'm going to have to remember that when we travel again. This is definitely something to consider when traveling. Just because you might be staying at a clean hotel doesn't mean you should take it for granted! I always wipe the grocery cart handle when I go shopping! I am very OCD when it comes to traveling. I do not want to get sick I do not want my kids to get sick and so I do a lot of things. When I first get on a plane I wipe down the arms and the table and it is disgusting how much dirt I get off of them. I wish I would see more people washing their hands more frequently. Washing your hands is by far one of the easiest ways to minimize germs. Hand sanitizer is okay because it does the job and it's convenient but give me some soap and water any day. I love this!!! I'm a total germaphobe so we (literally) bring a carry-on with sanitzer, sanitizing wipes, clorox surface wipes, supplements, etc. when we travel, which is frequently. These are great and simple steps to stay healthy! I do most of these, but should get better at taking supplements to keep my immune system up and healthy. Thanks for the tips. It's happened to me for sure. I've been known to get sick on vacation and not enjoy too much of it. Who wants their sick days to be vacation days either!? We are going on a trip this month and I won't be leaving without my supplements. They're essential to my health and wellness. Thanks for the great travel tips. 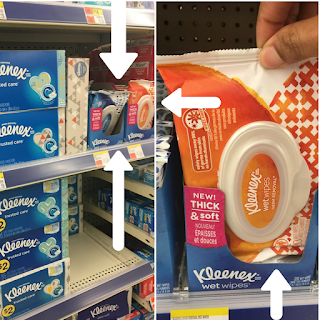 I didn't know that Kleenex made those hand wipes. I'll have to try them. Taking supplements is something I need to to when traveling. I always forget to bring mine when we travel. Thanks for these valuable tips. As a frequent traveler myself, I always carry a pack of hand wipes. I especially use them to wipe down the plane seat and tray table to prevent from exposing myself to any weird germs. We make sure to have enough vitamin c and other supplement when we travel. It's also important to practice good hygiene. I think these tips are great! Staying healthy assumes more importance while traveling. As we are frequent travelers, we can well appreciate the points made by you. The cleanliness of the hands is very important as germs make their way to the body through the hands. There is nothing worse than being sick when you are on vacation. Your tips are so spot on, especially your idea about taking supplements in addition to washing your hands. I have a friend who has the worst cold right now. She's got a trip set for Rome in two days and she's annoyed. I will pass this along to her. It's so hard to stay on track with keeping healthy when you travel. I never get enough sleep or drink enough water and then I don't feel great.